Worsening headache and other neurological problems elsewhere in your body may be brain cancer symptoms or signs of a benign brain tumor. Pictured: An MRI scan showing a brain tumor in the right parietal lobe of the cerebrum. Not all headaches are cause for concern. You might suffer an occasional migraine, head pain from a stiff neck, or the after-effects of an extra glass of wine you imbibed the night before. You simply take a few aspirins or another medication and the pain in your brain subsides. But when your headaches persist and worsen over time, especially when they’re accompanied by other neurological problems, you might be exhibiting brain tumor symptoms. Brain cancer or a benign brain tumor can cause an array of disturbing symptoms. These warning signs also may occur if cancers in other areas of the body spread to the brain and form tumors. Regardless of whether they result from a cancerous or benign growth, any symptoms of a brain tumor warrant immediate attention. As a brain tumor grows, it may trigger an increase in intracranial pressure, the pressure inside the skull. The tumor also may indirectly cause intracranial pressure to rise by blocking the flow of nourishing cerebrospinal fluid and causing it to build up, or by contributing to swelling of the brain. As the pressure increases, a number of symptoms can arise, varying from person to person. According to the American Cancer Society (ACS), about half of people with a brain tumor develop worsening headaches, which may become more frequent over time. Up to half of people with a brain tumor develop seizures—sometimes they’re the first manifestation of a brain tumor—although brain tumors are responsible for only about one in 10 seizures, the ACS notes. Tumors also may develop on the spinal cord and cause declining sensory or motor function in the limbs, walking problems, radiating back pain, or bowel or bladder problems. Any spinal cord or brain tumor symptoms may develop and worsen over time or occur suddenly (as is the case with seizures). 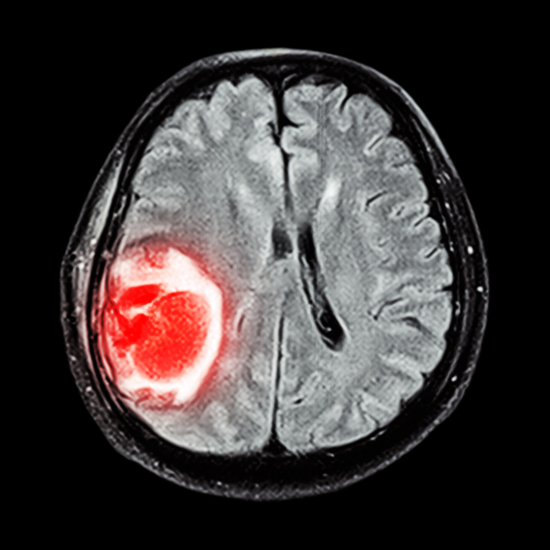 Symptoms of a brain tumor can vary based on the tumor’s size, rate of growth, and its location. For instance, a tumor occurring in the large, outer portion of the brain known as the cerebrum may cause symptoms ranging from speech or vision problems to weakness or numbness on one side of the body, depending on where in the cerebrum the tumor forms. Difficulties walking, eating, or performing other routine functions may result from a brain tumor in the cerebellum, the part of the brain responsible for coordinating movement. Understand that brain tumor symptoms resemble the signs of other conditions affecting the brain, so just because you experience these symptoms doesn’t necessarily mean you have a tumor. Nevertheless, you need to see a physician to find out what’s causing these problems. 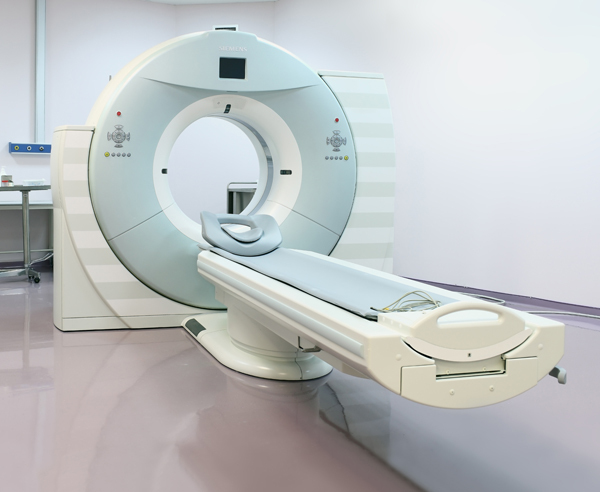 A CT scan is one method doctors use to diagnose brain tumors. Your doctor will review your symptoms and your overall medical history, and also perform a physical examination. That exam will include neurological testing, focusing on coordination and balance, reflexes, vision, and other functions. Additionally, you may undergo one or more imaging tests, such as magnetic resonance imaging (MRI), computed tomography (CT) scans, or positron emission tomography (PET) scans. These imaging studies can identify a tumor in the brain or spinal cord, but they cannot determine the type of tumor it is. So, your doctor may order a biopsy to retrieve a sample of the tumor tissue and have it examined under a microscope. 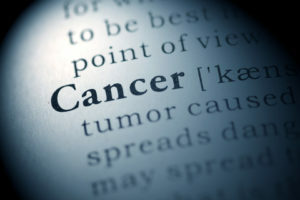 The biopsy may be done on its own or during surgery to treat the tumor. Your physician also may recommend a lumbar puncture, or spinal tap, to examine the cerebrospinal fluid for signs of cancer. back pain, brain, brain cancer, brain tumor, brain tumor symptoms, cancer, cancers, head pain, headaches, hearing, hearing difficulties, migraine, pain, personality, positron emission tomography, radiating back pain, signs of cancer, symptoms of a brain tumor, tumor, vision problems, wine. Fantastic cargo from you, gentleman. Ive study your stuff ahead of and youre just as sacifsattorily amazing. I take pleasure in what youve got proper at this point, esteem what youre stating and the way you say it. You achieve it entertaining and you equal at the present handle to help be it shrewd. I cant time lag to go from end to end supplementary from you. So as to is especially an incredible weblog. These symptoms could also be caused by Chiari Malformation. An MRI will determine if you have a tumor or Chiari.